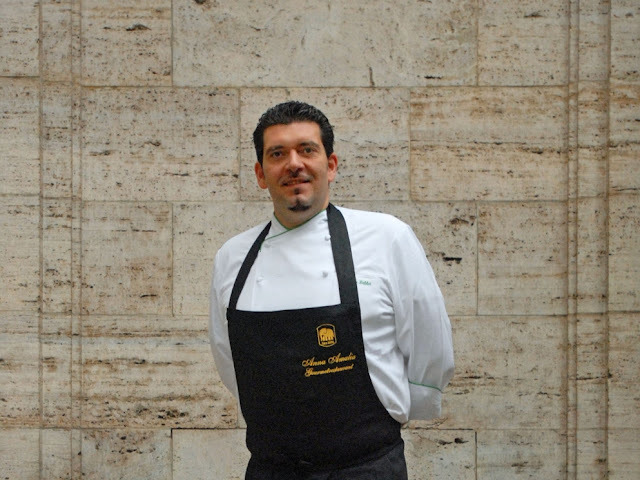 After a successful guest chef stint last year at Villa Danieli last year, the Michelin-starred chef Marcello Fabbri has returned for a whistle-stop sojourn starting today until 23 January at the Sheraton Imperial KL. 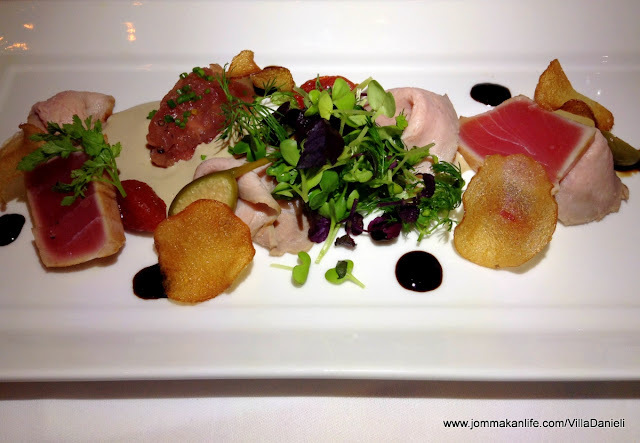 Discerning gourmands will find it easier to sample his inimitable culinaria here than back at the chef's own stomping ground so make haste and book a table asap. 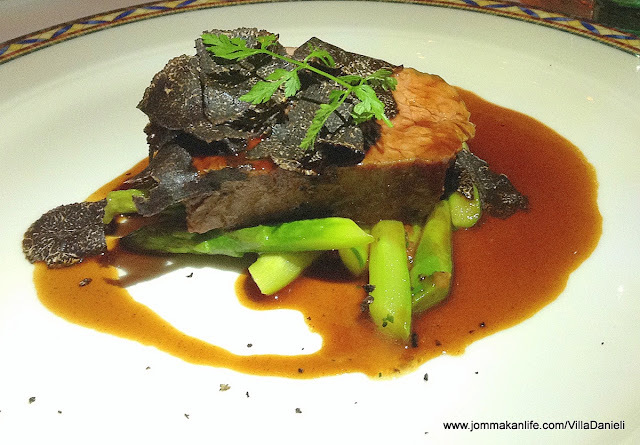 Us scribes were lucky enough to enjoy a Fabbri-lous dinner last night hosted by Sheraton Imperial KL as its annual media appreciation dinner and the chef was in top form. 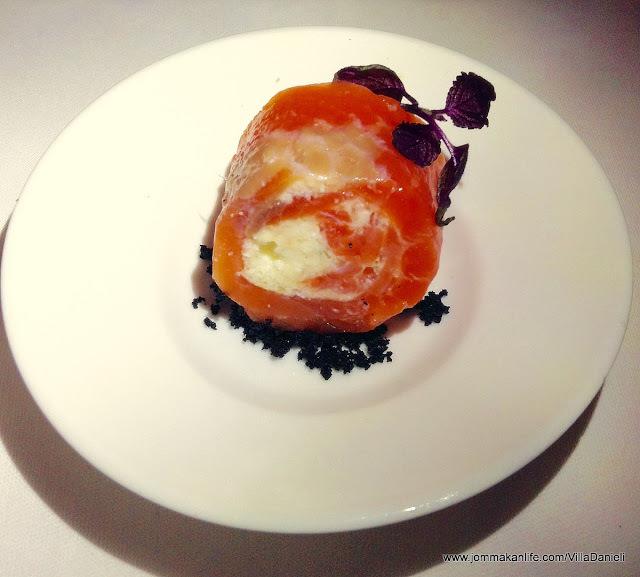 A dainty amuse bouche of salmon with creamy rich cheese got the ball rolling, giving us a tantalising hint of what laid in store. 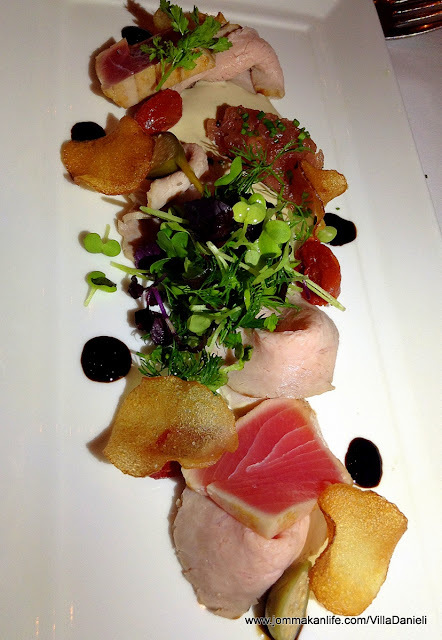 The fresh, crisp nuances of Frescobaldi Pomino Bianco DOC heralded the debut of Marcello Fabbri Vitello Tonnato - the chef's newly interpretation of Tuna & Veal. Sprinkled with micro greens and sprigs of dill, it was an artistic palette of ethereally delicate textures and ever so subtle flavours with punctuations of aged balsamic and briny kalamata olives. 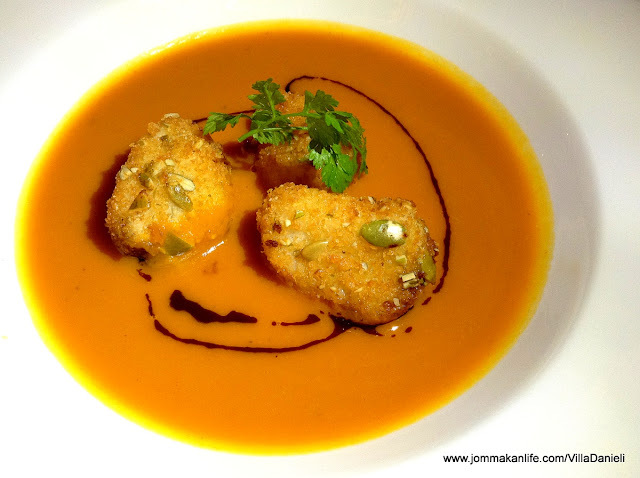 A floral-fruity white, Attems Pinot Grigio Venezia Giulia IGT lent vivacious sparkle to a superb Zuppa Di Zucca - velveteen Pumpkin Soup served with Roasted Pumpkin Seeds-crusted Scallops. 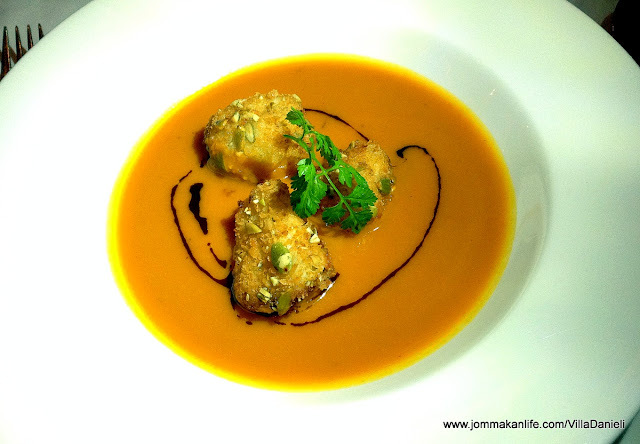 My dining partner who eschewed anything pumpkin lapped up every drop; a firm testament of the heartwarming soup's soulful appeal which bore the barest whispers of spice. Sweet and moist, the plump scallops were to-die-for. For me, the evening's show-stopping creation was Risotto Ai Porcini. 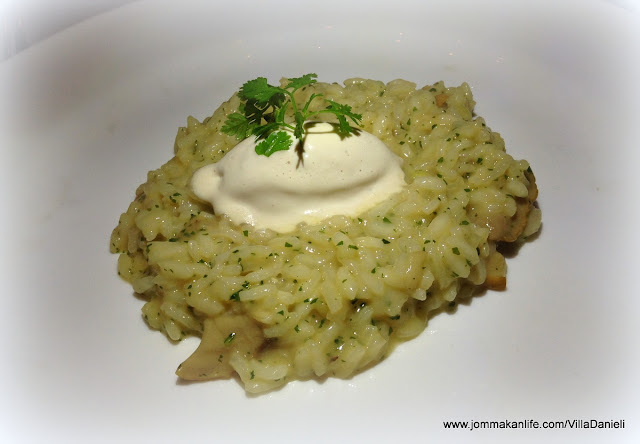 Now, risotto is Chef Marcello Fabbri's signature speciality hence it was only natural his Risotto of Porcini Mushrooms blew us away. Like a clever magician, he ramped up the rich nutty creaminess of the Italian shortgrain rice with a quenelle of Parmesan Ice Cream. As the luxuriant cheesy topping melted down, every spoonful teased our tastebuds with riffs of hot and cold. Such deliciousness was aptly matched by a voluptuous red, Speri Valpolicella Ripasso Classico Superiore DOC. The stakes rose higher with Manzo Australiano beefing up the Piatti Principale. Calling on Lamole Di Lamole Blue Label Chianti Classico DOCG - a ruby-red wine with dark cherry and berry notes, the medium rare Australian Black Angus striploin was a gastronomic masterpiece. Served with generous shavings of musky Black Truffle, Potato Confit and Asparagus, one could catch the dish's enticing aroma even before the steak arrived to our table. Intense ripe red fruits and spice overtones from the Warre Warrior Finest Reserve Port Wine made a winsome pairing with Torta Di Mele Granny Smith - a rustic yet refreshingly light dessert of Granny Smith Apple Tart with Granny Smith Soup and Sorbet. 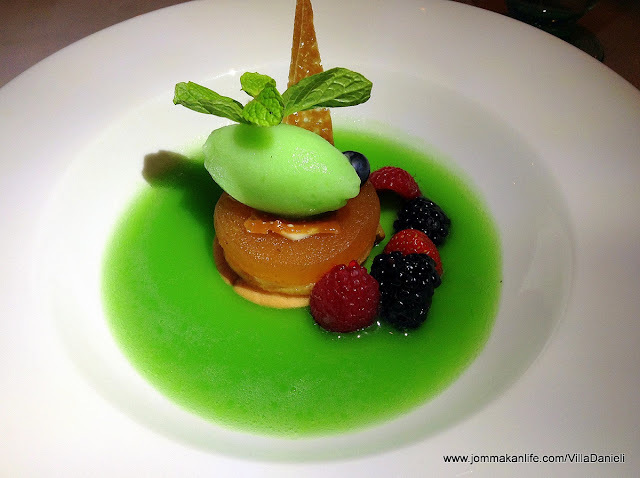 I was partial to the pleasing sorbet with its clear apple accent while the minimalist apple tart of sorts ensured dinner concluded on a satisfactory high but not cloying note. The Marcello Fabbri's Italian experience is priced at RM220 nett per head (food only) and RM380 (inclusive of matching wine) per head. Call Villa Danieli, tel: 03-2717 9922 for reservations.